FORSYTH COUNTY, N.C. -- A child was dragged by a school bus for nearly a mile in Forsyth County on Monday afternoon. According to Highway Patrol, the incident was dispatched as a “child drug by school bus” at 3:43 p.m. Monday. Chelsea Klepzig, 6, a first grader at Union Cross Elementary School, was dragged down Pine Meadow Drive by her school bus. Chelsea’s parents say her grandmother was waiting for Chelsea to get off the bus when the bus driver closed the door on her arm. The girl hung onto the bus with her arm stuck in the door from Stonington Way Court to Pine Meadow Court, which is almost a mile, her parents said. Her parents said her feet and legs were dragged as she held on, adding they were happy she didn’t have any less of her body stuck in the door or they fear she would have lost her grip and fallen under the bus. Chelsea’s grandmother followed the bus to the next stop at Pine Meadow Court, which is when she saw the doors open and Chelsea fall to the ground, the girl’s parents said. Chelsea’s parents said the bus driver was supposed to wait for her to cross in front of the bus and to the other side of the road. “If he was following any kind of procedure that he should be following, why didn’t he notice that my child didn’t make it around the front of the bus,” said Chelsea’s father, John Klepzig. Chelsea had minor injuries from the incident. Her parents described them as bruises and scratches. The bus driver was a substitute bus driver employed by the school system since 2000, Helm said. He has been suspended without pay and recommended for dismissal. According to Helm, there were 17 students on the bus at the time of the incident. As far as the school system knows, none of the other students witnessed what happened. If any of them did, they’re encouraged to speak to a school counselor. The school system sent out three memos — one to parents of students who were on the bus, one to parents of students who ride that bus but were not on it at the time and another to the entire Union Cross Elementary School population. 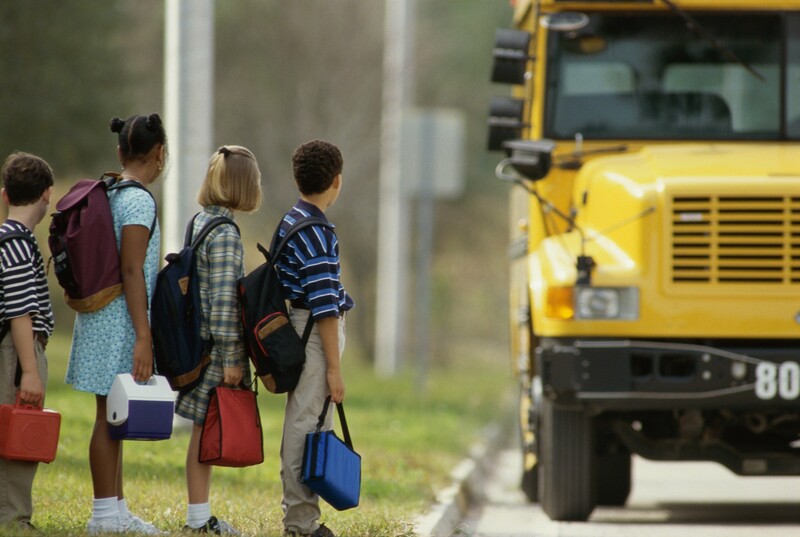 The school system does training with drivers every August. Each of the drivers had a note put on their seat today reminding them of their training, Helm said. No charges have been filed, according to Highway Patrol, who added that the incident is still under investigation.